Pre-1972 Hot Rods, Street Rods, Kustoms, Muscle Cars & Trucks. 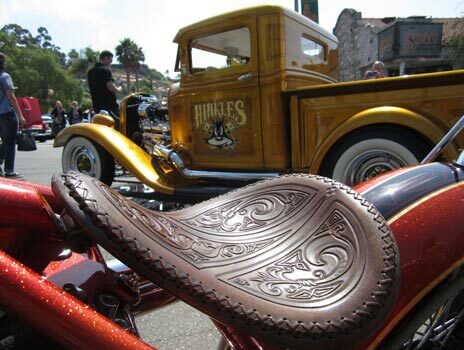 Limited space available for Show Quality Bikes-Traditional and Vintage Foreign encouraged. REGISTER NOW! Event Producers reserve the right to restrict participants to what they determine is "show quality". NO COLORS-NO EXCEPTIONS. RAIN OR SHINE. NO REFUNDS. IMPORTANT NOTE: NO VEHICLE-CAR OR MOTORCYCLE MAY BE STARTED OR MOVED DURING EVENT HOURS (10:00am - 6:00pm). Should an emergency arise, please notify SECURITY or EVENT PERSONNEL ONLY.